Treehouse is pleased to invite you to our annual Gala, The Century Supper. 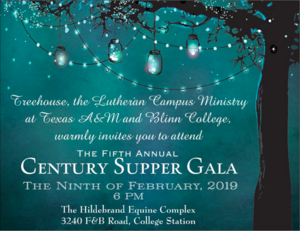 This 2019 Treehouse Gala was held on February 9, 2019 at 6 pm at the Hildebrand Equine Complex at Texas A&M. Thank you for a lovely evening. 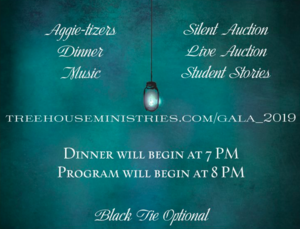 Watch this page for information on the 2020 Gala!